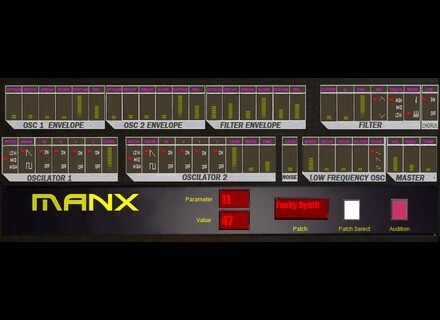 XS-1, Other Virtual Synth from Manx. Manx has announced the release of two new VST instrument synth plug-ins for Windows. Manx says that a differentiated approach to DSP coding, unique to Manx synthesizers, attempts to give the synths a sound whose "warmth and richness sets it apart from many other virtual analog emulations." 3 oscillators, each with 6 waveforms. 3rd oscillator may be used as an LFO + an additional standalone LFO. MIDI Learn for all parameters. The filter section is switchable between polyphonic & mono. Wallander WI Orchestra WI Orchestra is a full orchestral library and composition tool for iPhone and iPad. Image Line FL Studio Mobile Coming Up Image Line has announced that FL Studio Mobile is on its way - it will allow you to create multi-track projects on your iPod, iPhone or iPad. Powersoft Upgrades Armonìa Pro Audio Suite Powersoft’s version 2.1.803 upgrade of its Armonía Pro Audio Suite software includes the new I/O Signal Integrity Monitor feature.